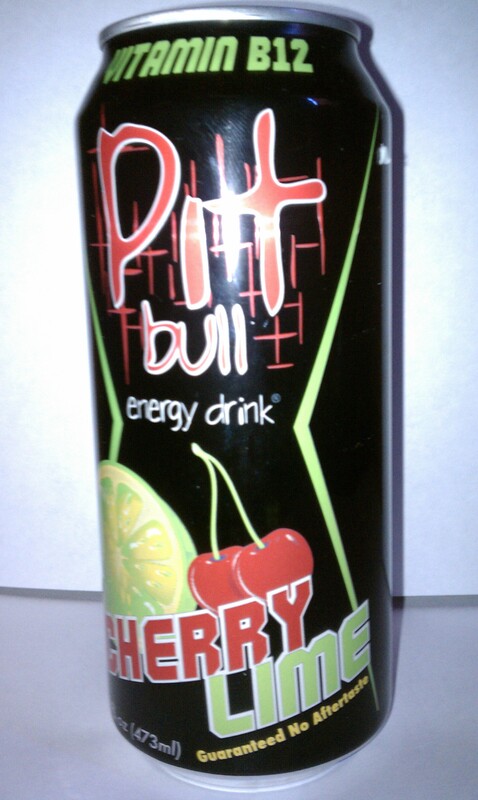 Today I am reviewing a can of Pit Bull Cherry Lime I received from a fellow reviewer who ran a contest over at BevNerd. Pit Bull is made in the USA by Hip Hop Beverage Corporation out of Carson, CA. They do a lot of charity work and community awareness in the area of health and they support our troops, which is all fantastic. Before work I chilled down one of the cans I received of the flavor I was most interested in trying, Cherry lime. I popped it open and did a long pour into a pint glass I chilled. The clear pinkish-red beverage filled out the glass and the foam disappeared quickly. The smell was heavy on cherry and was reminiscent of Ludent’s cough drops. The taste confirmed for me a bit medicinal like taste, which it not always a bad thing. The cherry was heavy on the tongue until it faded away to a citrus finish. The sweet and sour notes mixed and gave each taste a chance to shine when you drink a large gulp. The one thing I would pick on was the fact I felt the lime flavor was trumped by the cherry most of the time and was only short lived as a finishing note. Not perfect but few drinks are Pit Bull Cherry Lime puts arguably one of the best fruit combos together in a strong energy drink that only lacks in its balance and odd sight medicinal flavor.